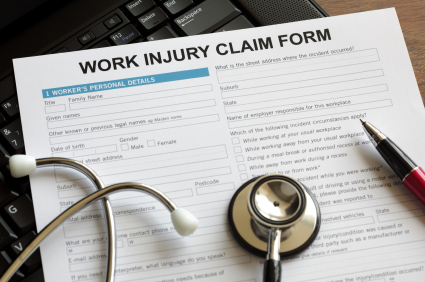 Can injured worker refuse this light duty job? This injured worker’s employer offered her a light-duty job. The worker refused the offer because it was at a different location and it would be difficult for her to get to work. After refusing the offer, would she still get workers’ comp benefits? Viviana Llanes Rodriguez worked for Employbridge in Largo, FL. In 2016, she tripped over a box and fell on her right knee, resulting in a compensable injury claim. Doctors issued work restrictions for Rodriguez that prevented her from performing her regular job duties. Employbridge was able to offer her clerical-type work at its location in Tampa, FL. Rodriguez turned down the light-duty job because of difficulties with her 17-mile commute to the Tampa location. Instead, she applied for temporary disability benefits. The employer rejected her claim on the grounds she refused to accept suitable employment. no familiarity with public transportation. Each judge of a three-member panel of the First District Court of Appeal of Florida issued different opinions in the case. However, two of them did agree that Rodriguez should not receive workers’ comp benefits if she refuses the light-duty job. They had different reasons for their conclusion. One judge found that Rodriguez would need to “present persuasive evidence to demonstrate that a refusal of suitable employment has a plausible nexus to the workplace injury or is necessary to protect the employee’s health or safety.” The judge said Rodriguez failed to do that. Another judge said Florida law allows an employee to refuse suitable work and receive workers’ comp benefits if “in the opinion of the judge of compensation claims such refusal is justifiable.” An appeals court could only overturn a JCC’s opinion if the finding amounts of abuse or discretion or isn’t supported by substantial evidence. This judge said Rodriguez’s commuting limitations were “rather ordinary and manageable commuting difficulties that cannot justify her decision to refuse a good job.” The judge said the JCC’s order should be reversed for that reason. In a dissenting opinion, the third judge said the JCC’s conclusions were supported by evidence in the record. Since two judge agreed that Rodriguez couldn’t refuse the light-duty job (if for somewhat different reasons), she was denied temporary disability benefits.